Since I have posted in past years about our Austin fall color I would be remiss if I didn’t jot some notes on this year’s display. I’m actually writing this on New Year’s Day of 2019 and back dating this post but I’m trying to catch up on my notes here. Call it a new year’s resolution. 2018 fall colors came earlier than I remember in past years. In fact, if you click thru the link above I had noted last year that we usually see our best color around the solstice in late December. That was not the case in 2018. In fact, both the photos here were taken the weekend of Thanksgiving. 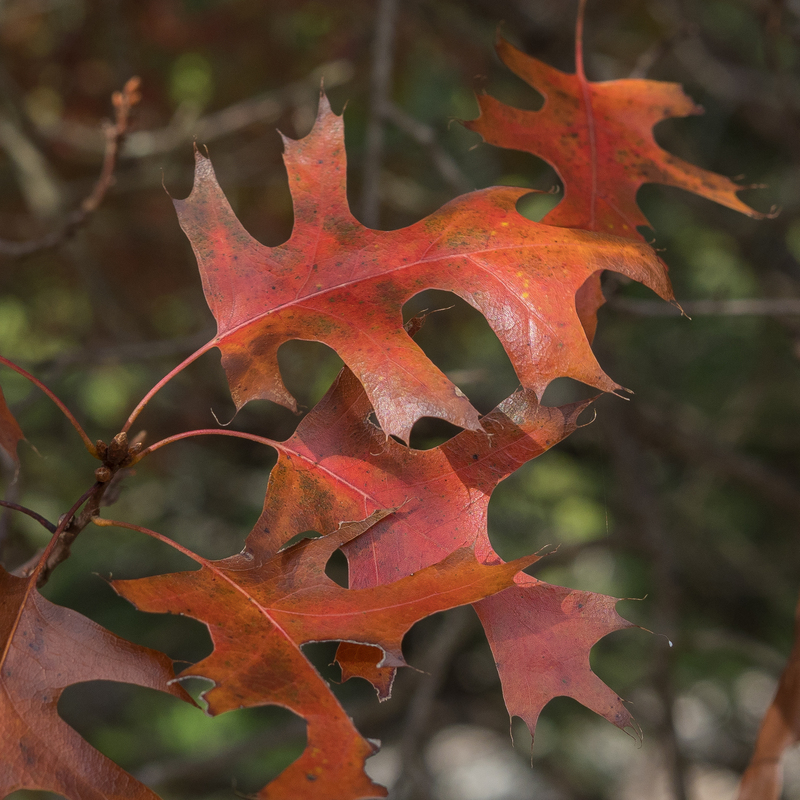 The red Oak leaves were shot in Hunt, Texas. And the shot below was just in my neighborhood here in Austin. I wasn’t the only one that noticed the display of color this year. Here’s just one reference I recall running across late in the year. Fall generally seemed to be wetter and cooler than I remember in past years and I gotta figure that was a factor. And maybe some perfectly timed sunny days.